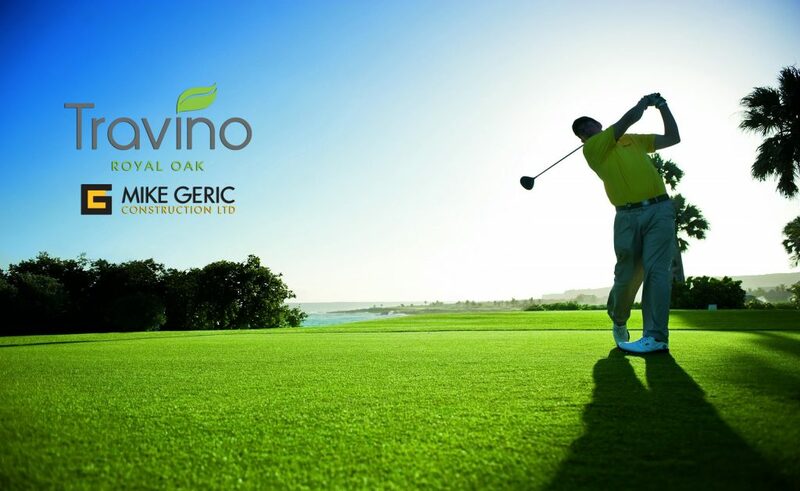 9 Golf Courses You Can Play Every Day When You Live at Travino! With the mildest climate in Canada, Victoria is always green and beautiful, making the opportunity for golf year round. Travino is located in the heart of Saanich, meaning a variety of golf courses are just a short drive away! Here are 9 “must-try” golf courses available to the Travino community. Highland Pacific Golf Course is playable all year round and overlooks the majestic Olympic Mountains, the Strait of Juan de Fuca and Thetis Lake Park. Outdoors, their licensed patio overlooks the driving range, while indoors, the cozy fireplace and friendly staff create a welcoming, relaxing atmosphere. Mount Douglas’ nine hole Golf Course is tucked away in the Blenkinsop Valley, and is surrounded by forest, farms and a variety of wildlife. It is perfect for every age and various skill levels. The Ridge Golf Course offers spectacular views of Haro Strait and the San Juan Islands, a 9-hole par 3 course, an 18-hole grass putting course and a short game facility. • For dining, The Ridge Café is a fully licensed clubhouse and patio with a view of Mt. Baker, Haro Strait and the entire golf course. They offer coffee, light lunch and cold beverages. Cordova Bay Golf Course is located across street from the Ridge Golf Course. It offers a 9-hole course with stunning conditions, and a spectacular view of Mt. Baker, daring you to match its perfection with every shot you hit. Ardmore Golf Course is made up of gentle slopes and an open layout, making it an easily walk-able and playable course. It is a 9-hole course, with optional alternate tees for a “Back 9” if you prefer to play 18 holes. • For dining, the Iron’s Grille Restaurant offers tasty lunches, as well as “9 and Dine” throughout the summer. They also offer a fully licensed lounge. Glen Meadows Golf Course is in a tranquil, country setting with wide-open spaces and 18 holes. It is Victoria’s only course that also offers tennis and curling! Cedar Hill Golf Course is a full facility, 18-hole course, offering CPGA lessons and affordable green fee golf. It is surrounded by a picturesque 3.5 km (2.2 mile) chip trail great for walking or running. • For dining, the Clubhouse includes a licensed light food service with tasty buffet choices, coffee and snacks. Arbutus Ridge Golf Course is an 18-hole course located in the seaside community of Cobble Hill, within the Cowichan Valley. It is amongst nine of Vancouver Island’s finest wineries, and ten minutes from the city of Duncan. Juan de Fuca Golf Couse is made up of beautiful fairways and greens, surrounded by seven water hazards providing the accomplished golfer the opportunity to sharpen their skills. Their 9-hole course is great for beginner and experienced golfers. Want more from Mike Geric Construction and Travino? Visit us on Facebook and sign up for our newsletter!